259 – A comic you should check, mate. Luke, I have to say – this chess theme is already getting a bit stale, mate. There are tweet, stumbleupon, reddit, G+, and facebook like buttons… how are you trying to share it? And once again my mind goes back to the Batman Chess, where the kings are Batman and the Joker. On another note, I shall never be able to play chess and keep a straight face again. 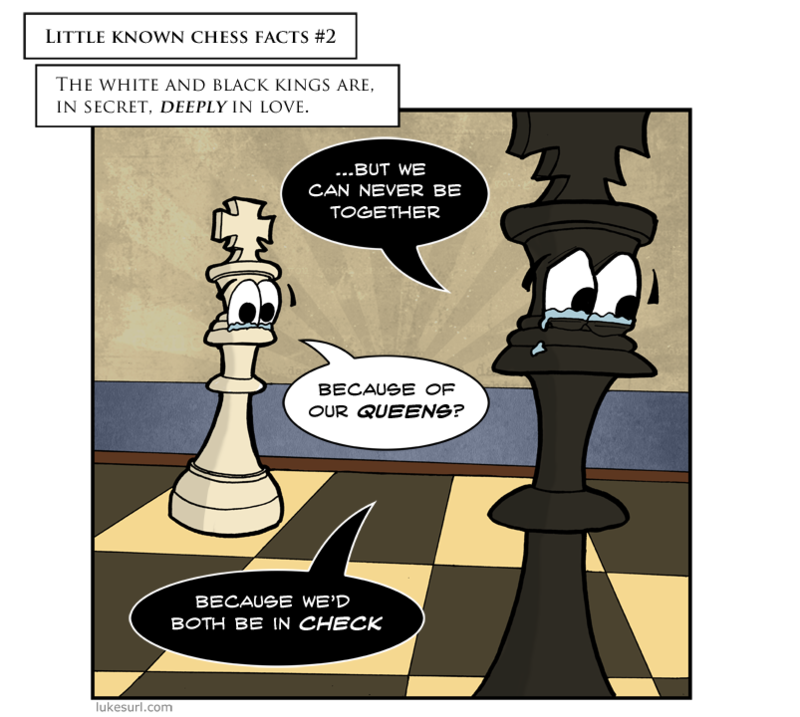 I think I tried to post it to you as a reply on the previous chess themed comic but it didn’t go through. I’m wearing that shirt today! Your comments have obviously infiltrated my mind.